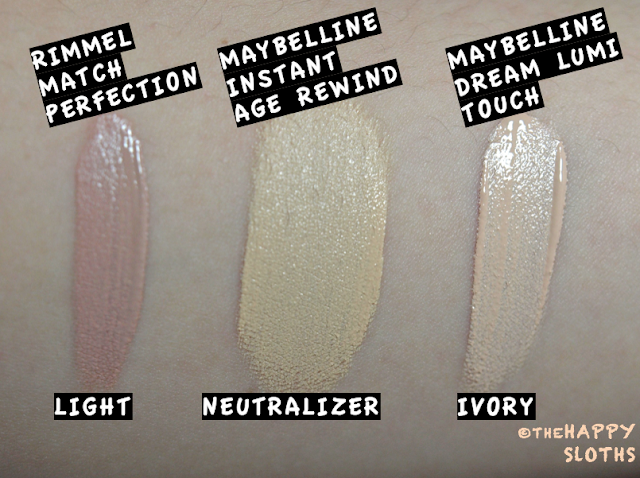 I held off from doing a concealers review because I think most people would probably find it boring. But I feel like these products are such an essential part of my everyday makeup routine, it would be unfair to not mention them. You can probably tell just how well-loved each of these are by how much product is left in them. In fact, these are probably my most reached-for products besides my lip balm. Just a little note, I removed the little brush guard a while back for reasons I seriously cannot recall. So the brush originally was less exposed than shown here. This one is the most affordable out of the three here. I bought this in the US for around $4 USD. I mainly use this for under the eye area or along my jawline where I crazy breakouts and blemishes. I am NC20 and this color matches my skin perfectly, thought it might be a tad darker than I like for the under the eye area. The texture is amazing and the coverage is really good. 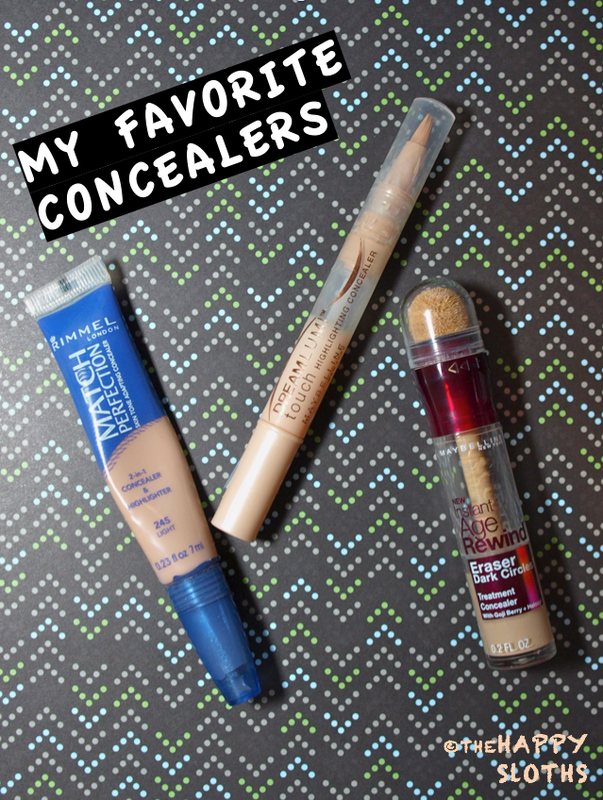 In addition, of the three I review here, this is the one that creases the least under the eye (creasing along the lower lid is definitely an issue for me). However, I find that creasing can be completely avoided if I lightly run a Q-tip over certain areas to remove excess product. This I received in a CEW Insider's Choice Beauty Box. I was hesitant to try this because I didn't even know if this would be the right color for me, but surprisingly, the color is literally the most perfect under the eye concealer color for me. The other thing I really like about this concealer is its big bulbous sponge applicator. You basically twist the cap and some product will ooze out of the sponge, and you take the sponge and go over the areas you need coverage. I evetually have to blend with my fingers, but I love the feeling of that little sponge on my face! Haha! 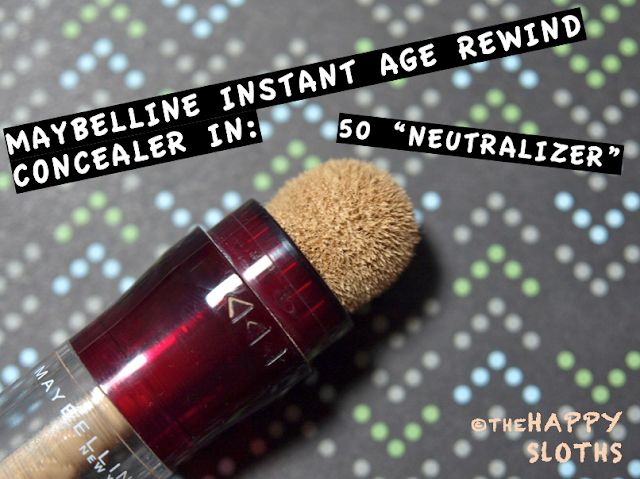 The only downside with this one is that it creases... Again, this is totally avoidable with the Q-tip trick I just mentioned, but still, with the words "instant age rewind" in its name, you would think that this product would be extra good at keeping the appearance of wrinkles at bay. This guy I bought the same time as the Rimmel one. Buying this was initially a total mistake because the color I picked out is wayyyy too light for me (I am NC20 and I would guess this color is good for someone who is NW15). If I use this under my eyes, I get what I would call the "Nicole Kidman Syndrome". 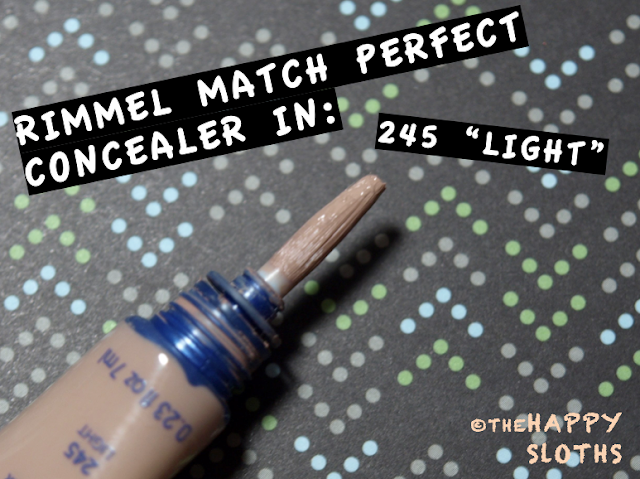 So it actually took me a while to discover that this works really well over my lids and on my browbones! 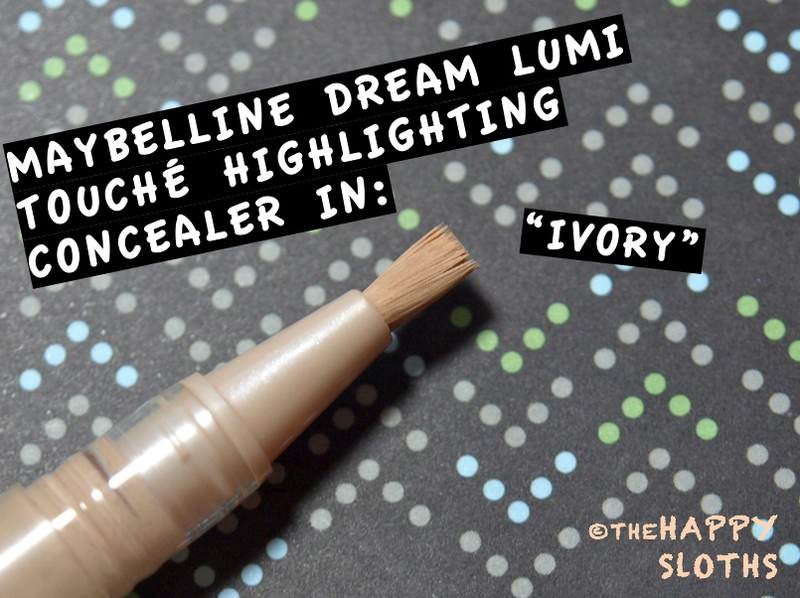 The coverage is ok but I just think this color is a really great non-shimmery highlighter! but they magically all work on my face. Also, my arm is crazy pale.